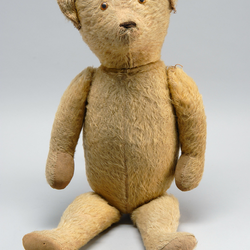 As a child I had a teddy bear with straw in, and i also had bad hay fever. I think the allergy was blatently brought on by the bear. I don’t blame the bear well who would. Some. But the fact of the act of i’m guesing my grandad bringing back a straw filled bear from a fraught Europe. I think at least made me wheeze, cough and have a tight chest, not to mention the hint of menace i felt from the bare German bear. Well i believe my cousin Robert had the straw filled German bear first and i like to think that i had it last. When later in life under lights as they asked me questions about the straw filled German bear i would declare. It was full of straw and made me sneeze and it was bald by the time i had it anyway, sans fur. Also i added with the confidence that age provides that thinking about it now, I never understood why i ended up with the second hand bald straw filled German bear in the first or second place! And further to that! why out of fright! i never repeated the things that bear whispered to me in German at night! We did French at school, je nais conprend pas! Previous Tartan tin the fix is in.